I’ve seen a lot of dog parties, but nothing quite like this gorgeous Sip & See. 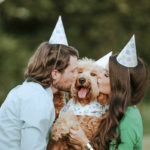 Stephanie from Kirkbrides Wedding Planning & Design and Arne from Plantscaping & Blooms were each adding a puppy to their respective families at about the same time. 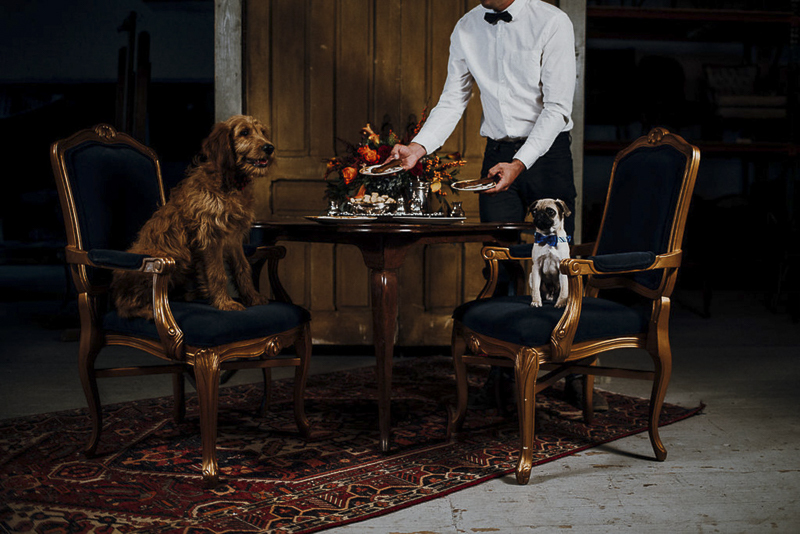 While many of us might arrange a playdate for our pups, these proud puppy lovers put together an elaborate Sip & See. 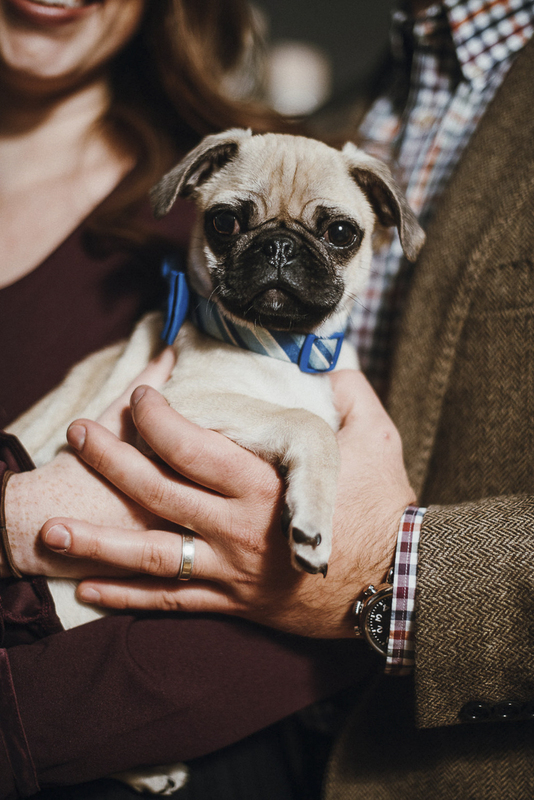 Suzuran Photography captured all the beautiful details and puppy cuteness! We chose to host our event at Borrow Rentals. 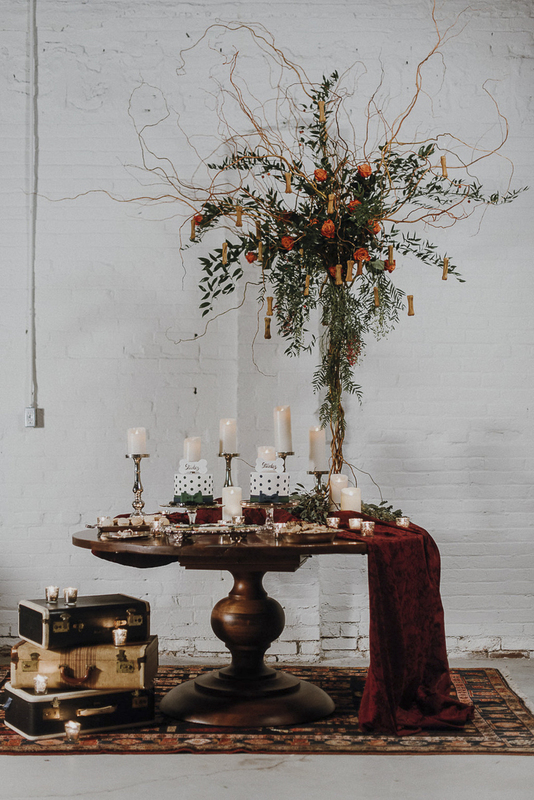 They have an amazing space that functions as both a warehouse for their rental items as well as an event space. They have such amazing furniture and vintage pieces that this made Borrow Rentals a perfect location. 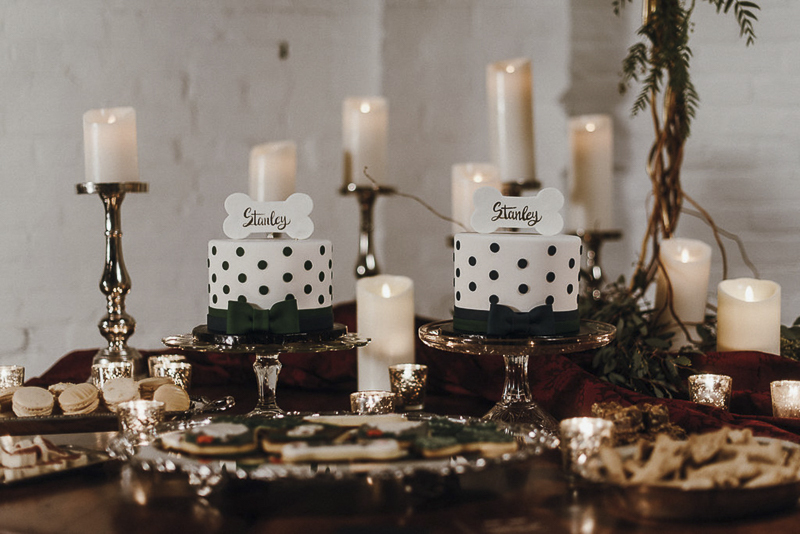 For our celebration, we drew inspiration from houndstooth patterns and the color palette often found in British Men’s Clubs. 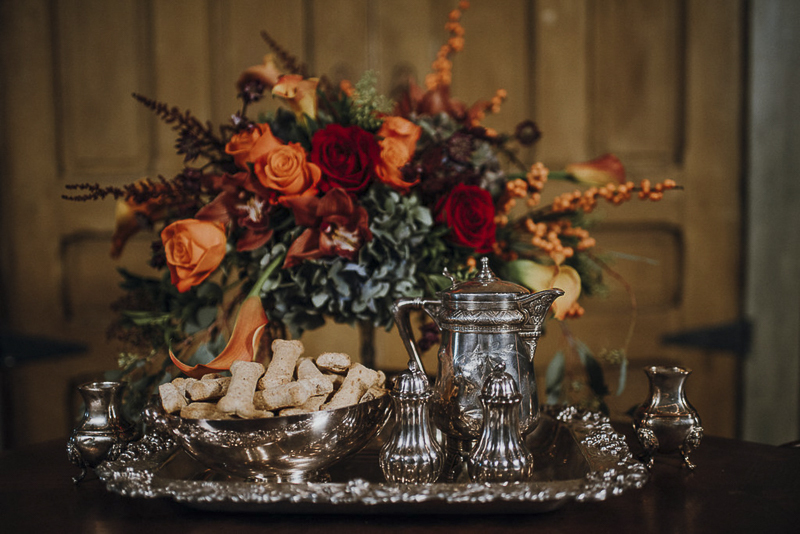 We set up three separate areas, the first being an opulent feast in front of vintage doors complete with bones on vintage China, treats on silver platters, and of course butler service for our boys’ debut into society. Getting both Stanley and Stanley to sit together with bones right in front of them was no easy feat. 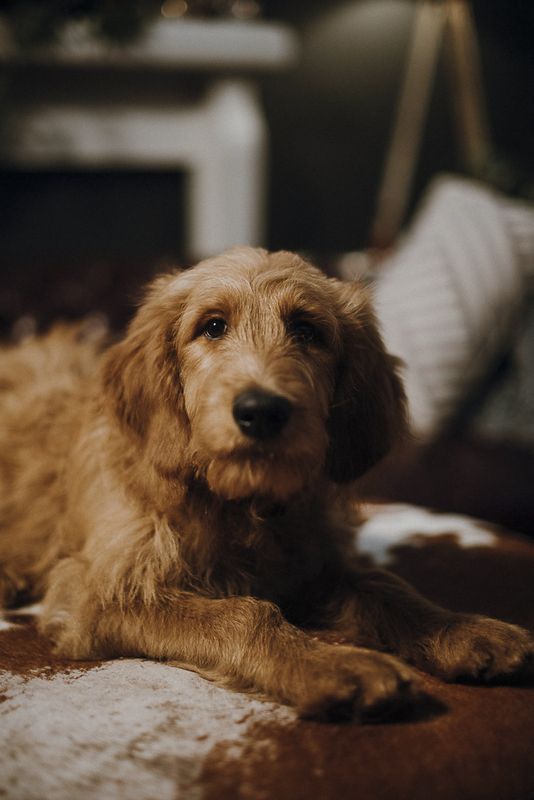 Dan and Suzanne of Suzuran Photography are amazingly patient as well as amazing with dogs! They were able to get some shots at just the right time. After dinner, you always need dessert! 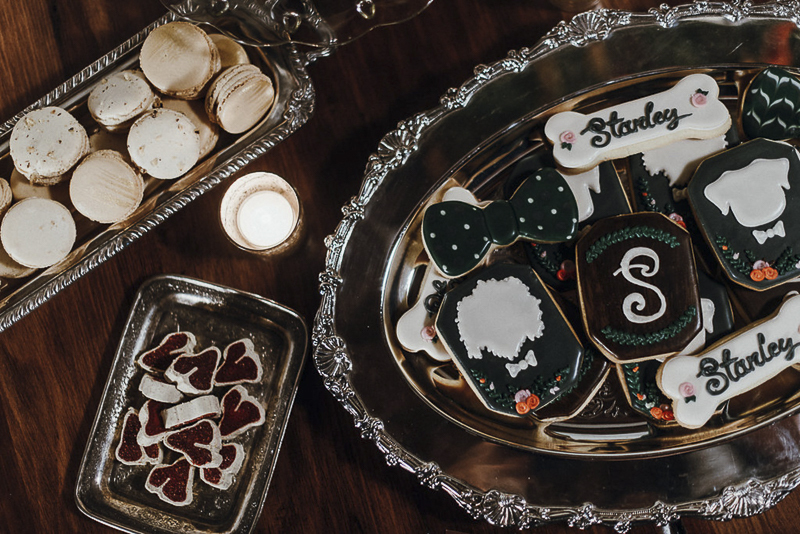 The ladies at Luna Bakery went above and beyond creating a cake for each Stanley as well as cookies complete with silhouettes of each pup, dog bones, and bow ties to reflect the style of our dapper men. Luna’s treats were for the human guests, not the dog guests. 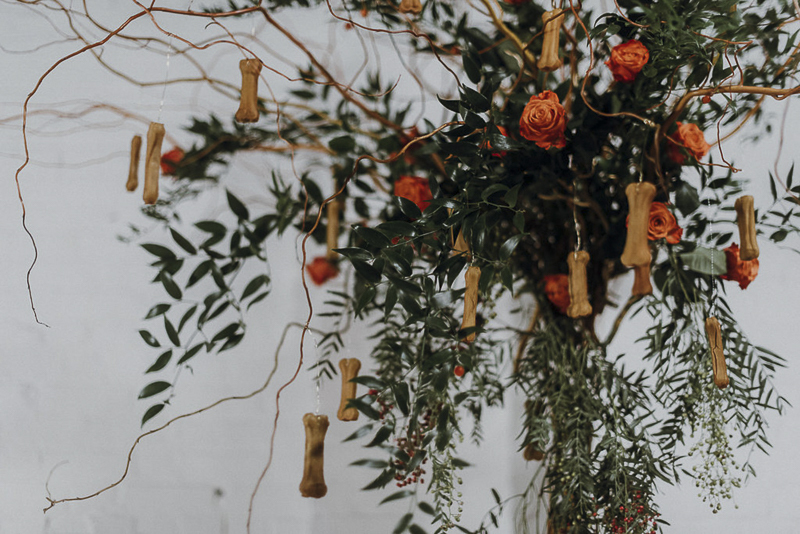 And how amazing is that centerpiece complete with hanging dog bones to accent this perfect dessert spread?! 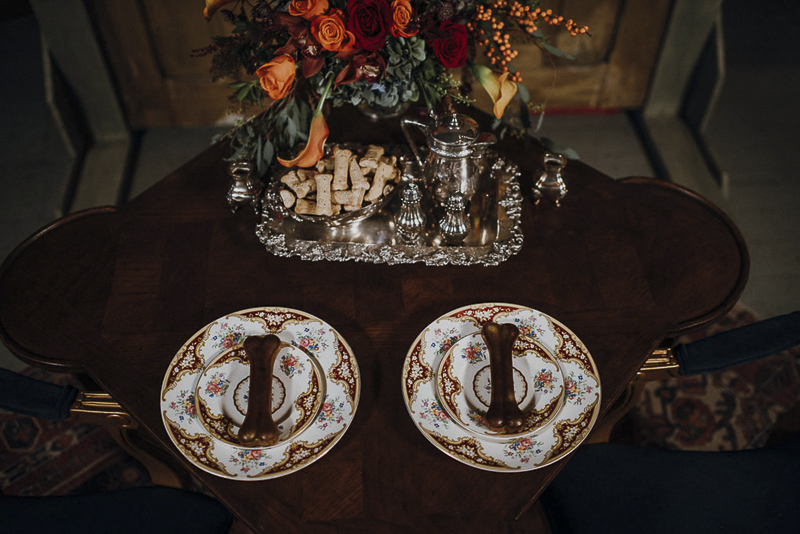 Our final area involved a stunning floral on a mantle with various pieces from Borrow Rentals’ collection for formal portraits of the Stanleys and their new families. 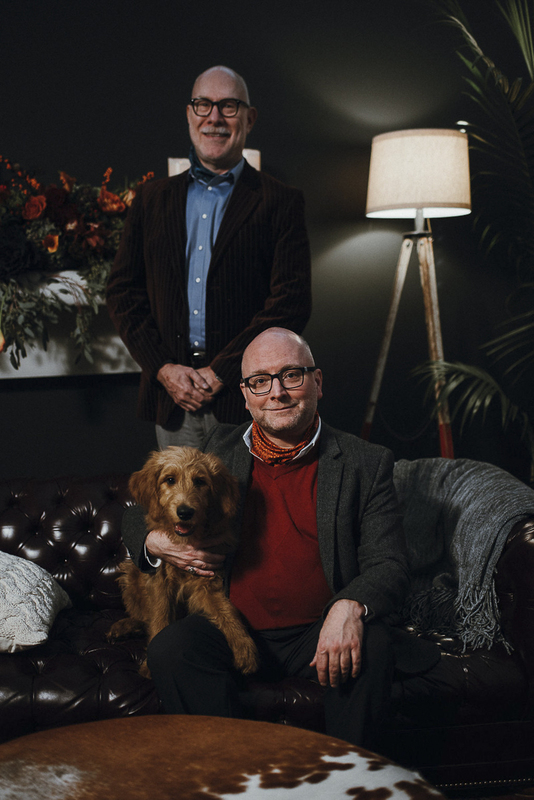 Arne and Brad posed with their Stanley, and my husband Jim and I posed with our Stanley. Brad also created the invitations for our event to meet our Stanleys! 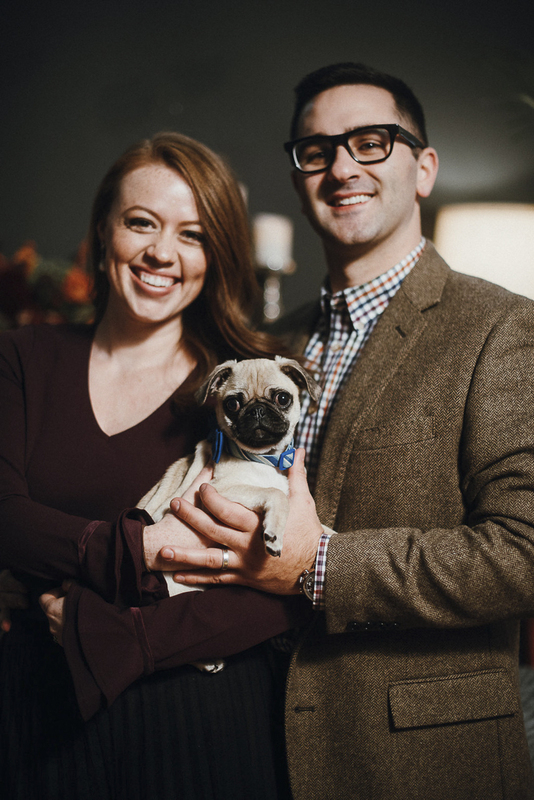 Stanley (the Pug) is such a sweet little pup! He follows us around everywhere we go. Stanley is not truly happy unless he is snuggled up on one of our laps. 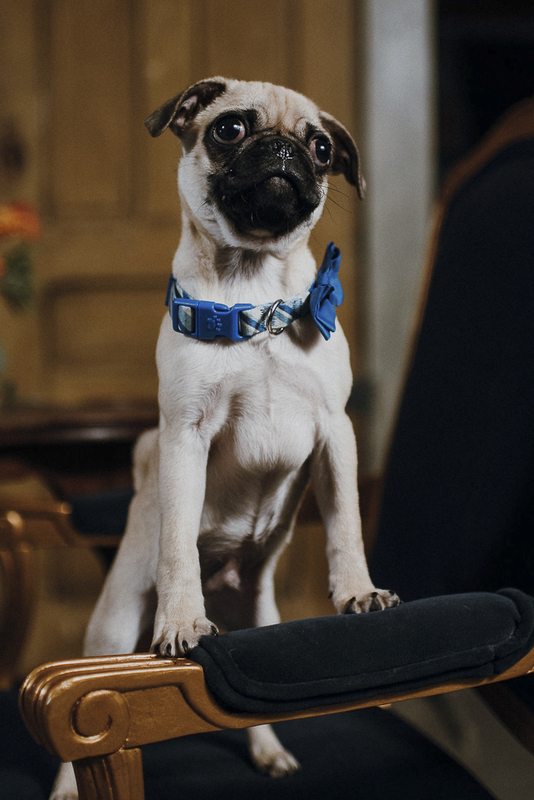 His facial expressions and snorts make him hilarious and very entertaining, and we could not love him more! Follow Suzaran Photography on Instagram. All of the featured vendors are based in Cleveland, Ohio. About Suzaran Photography: Suzanne and Dan Price specialize in engagement and wedding photography. Oh my doG, I love this! The photos are…dare I say…scrumptious! 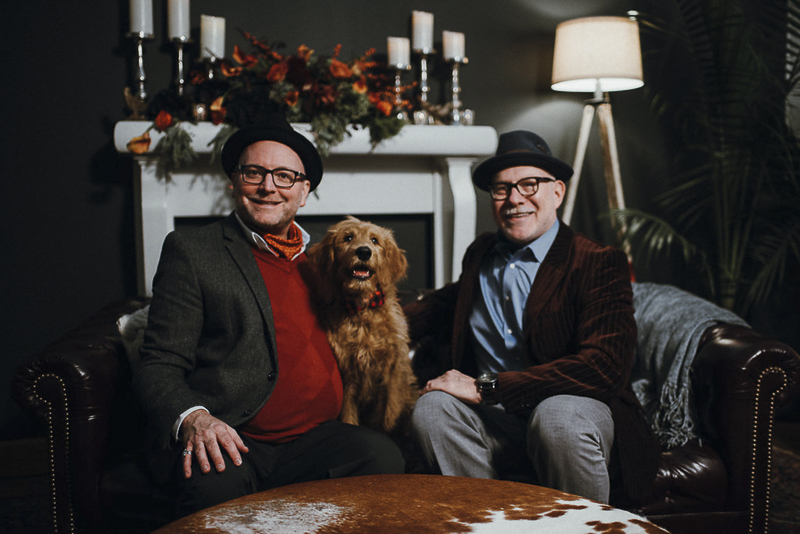 Handsome people and dogs, with fun design. Love this! 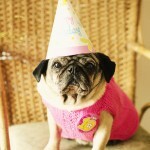 Oh, that pug has captured my heart! 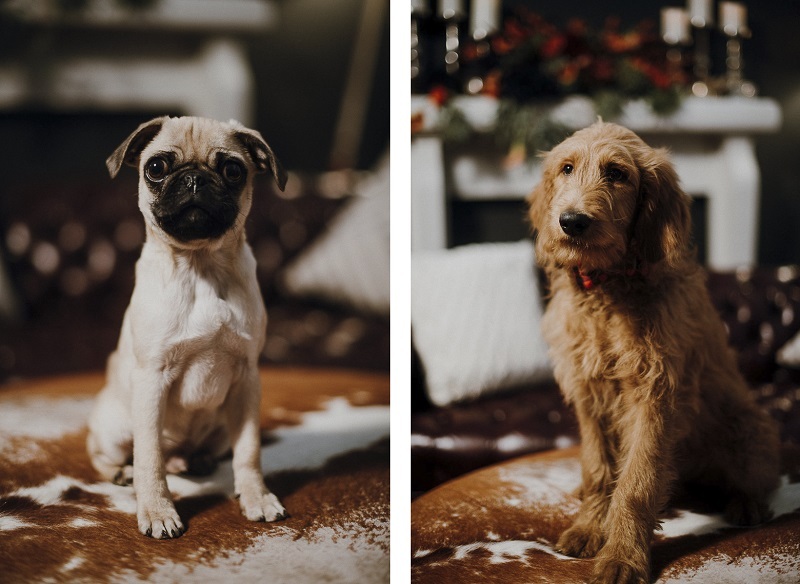 They are my all time favourite pups. I can’t get over their adorable faces! Oh my goodness this is fantastic! 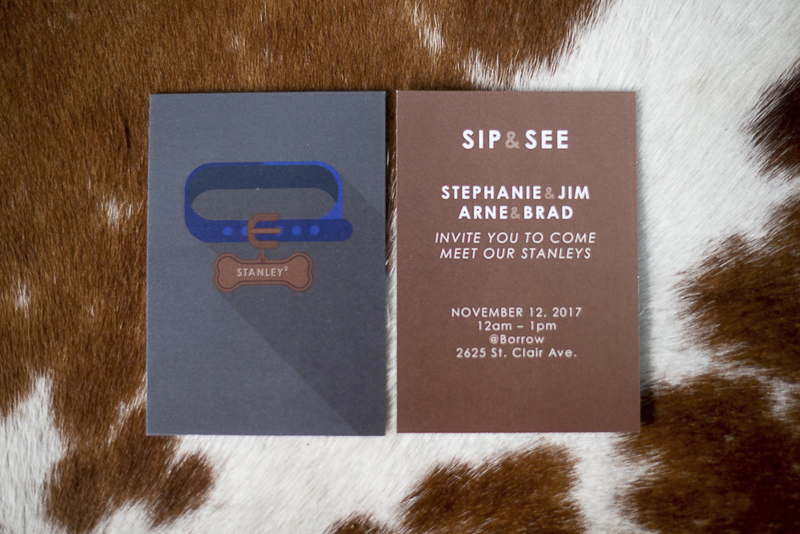 What a great idea to have a Sip & See pawty – I would have loved to been there, the venue looks amazing , the pups are the cutest, and the photos beautiful! A lovely memory to have. Oh my goodness! I love, love, love this idea! And both Stanley’s are just adorable! Best idea ever! 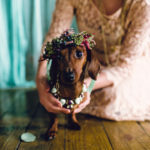 One of the things I love about your blog is that it shines a light on how much people love and respect their pets. Oh, how fun! And the photos were positively scrumptious! And the pups are just adorable! Phenomenal event idea! Well, my Monday just got 10x better after seeing this! Wow -I love this! 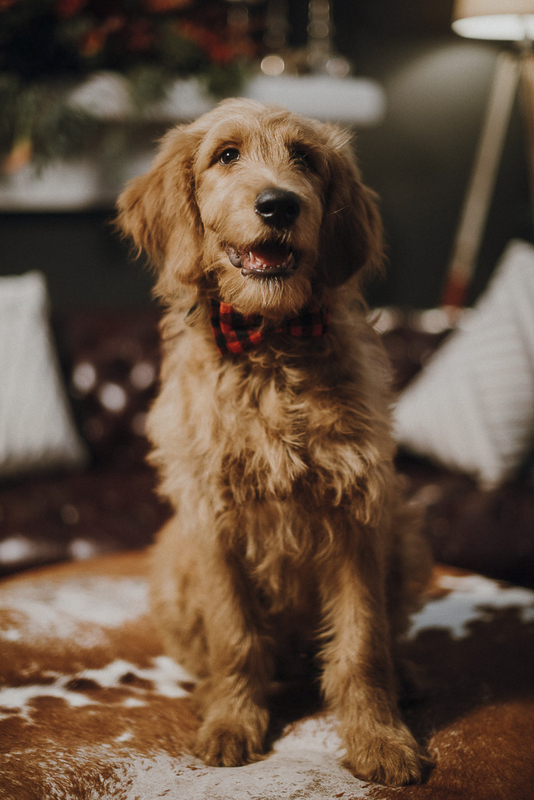 I want to treat my pup to a classy date now! These photos bring on old-movie feel. So lovely and romantic.